Within Trollhättan’s trade and industry, established technology and mature sectors get on well with innovation and new ways of thinking. In this development, the Högskolan Väst (University West) plays a key role. The same applies for the Innovatum, which constitutes a bridge between trade and industry, research, education, individual players and the general public. Trade and industry in Trollhättan are built on several foundations. The core is the manufacturing industry, and based around this, many service providers have been established, not in the least those with a technical orientation. Other strong sectors are commerce, service industries and the public sector with large employers such as the university and the county hospital. On top of this broad base, we find clear peaks within the automotive and aerospace industry, creative industries and e-commerce. With Film i Väst, the Swedish film industry has a solid stronghold in Trollhättan. Almost half of all Swedish films are co-produced here. hydraulic transmissions and pumps (Parker Hannifin). The Swedish film industry has one of its most prominent centres in Trollhättan. Here we find the headquarters or branches for many production companies, and a large number of businesses that contribute to film production with their individual areas of excellence. Energy and environmental technology, e-commerce and creative industries are other fields in which the expertise grows more strongly in Trollhättan. Being able to offer good environments for development to existing companies, and growth conditions for businesses that move in, is a very clearly expressed ambition in Trollhättan. Those who choose to establish themselves in the municipality can expect assistance in finding access to networks and expertise that will be of use to them. Part of this effort is to find the right place for establishing your business. In the summer of 2013, 40 hectares of industrial plots were available in existing industrial areas in Trollhättan. Businesses that are looking for existing premises have good possibilities for finding something suitable. This applies to both industrial as well as commercial purposes. The Överby shopping centre is expanding the shopping surface to a total of 100,000 m². This expansion will be completed in 2015. In Trollhättan, network building is an important process that is always ongoing. This is above all the case for technical areas and sectors with a high degree of innovation. The city’s objective is to become a centre for the development of electric vehicles, and there are many players involved in establishing the cooperation process. In the field of aerospace, the companies in Trollhättan are part of both international as well as national networks. The development in the field of energy and environmental technologies is an intense one, and here these networks are of great importance. The creative and cultural sectors are dominated by small businesses that cooperate within different forms of networks. Amongst others, there’s an extensive informal network linked to film production. Trollhättan has seven business associations for the various commercial and industrial sectors, which belong to the more formal networks. All of these associations work together with the city of Trollhättan. Trollhättan has a large urban centre. In terms of the number of inhabitants, the city centre comes in 21st. place in Sweden. Plans for the coming years include efforts to attract more inhabitants to the centre by means of centrally located rented, co-operative and freehold homes. Along the river, the canal and the locks, more homes will be built. These will be very attractive because of their beautiful surroundings and their central location. The municipality is also growing along the outskirts of the city centre, and in its rural parts. New residential areas, above all for freehold properties, are being created in several places. Thanks to major efforts towards the improvement of the infrastructure, Trollhättan has very good road, railway and flight connections. Travelling to Gothenburg, for instance, takes no more than just over 30 minutes. Trollhättan is proud of its Fallens Dagar, which is the oldest city festival. The third weekend in July, this major festival takes place and attracts both visitors from other places, as well as its own inhabitants. Within the cultural sector, film plays a major part. 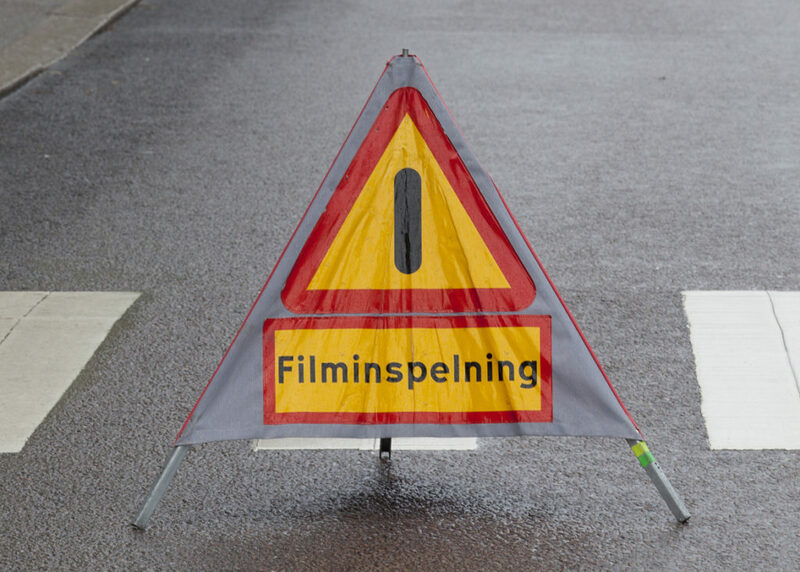 The people from Trollhättan have become used to warning signs saying “film recording” on the streets and squares of the town. Music has its own arenas. Amongst others the N3, which is an arts school and venue for many events. The Folkets Hus cultural centre programmes many events as well. The Aurora Music Festival provides major enjoyment of classical music, several times per year. The entertainment sector has much to offer in terms of restaurants, pubs, dancings and similar. In the field of athletics, Trollhättan is the proud organiser of two running competitions: the Kraftprovet, which is a very challenging race for runners, and the Alliansloppet, which is part of the Swedish roller skating cup.